After Typhoon Haiyan struck the Philippines last November, the United States government made a vast amount of DigitalGlobe imagery available to the public for humanitarian purposes. You can find this free imagery on ArcGIS Online through the DigitalGlobe FirstLook Premium Services. The service has many benefits for first responders and humanitarian workers. It's constantly updated, providing access to all the images from the start of the disaster to the recovery phase. This empowers the user to map change, assist with emergency planning, and help with disaster recovery. 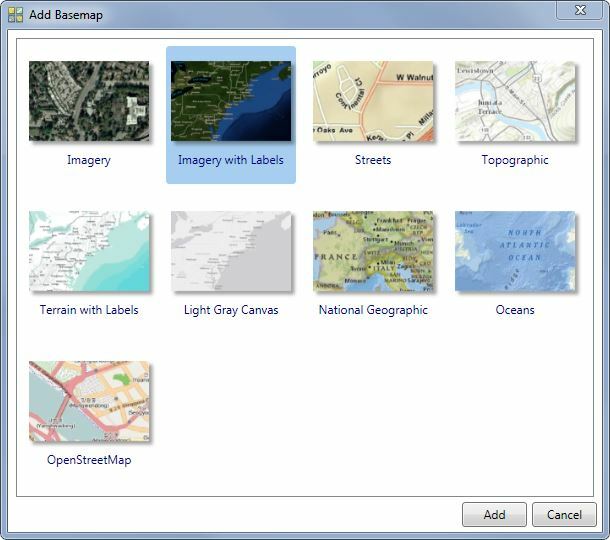 You can use the service on ArcGIS for Desktop, ArcGIS for Server, ArcGIS Online, or anywhere else on the ArcGIS platform. This tip shows you how to connect to these feeds using ArcMap. 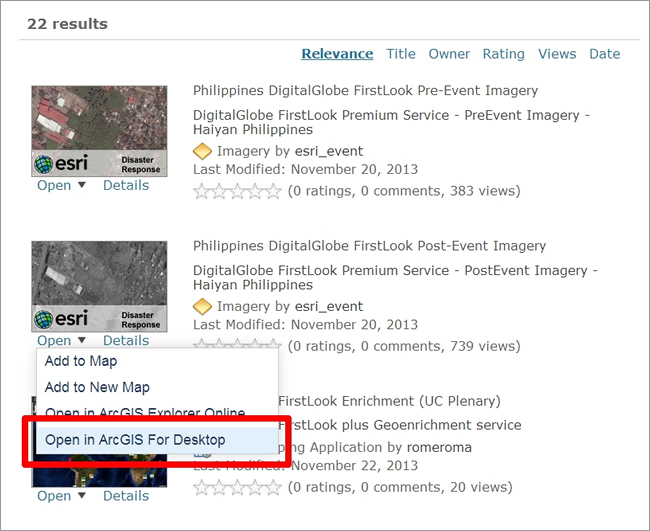 Note: If you don't have an Esri Global Account, you'll have to create one to proceed. Sign up here. (You may already have an account that's part of an ArcGIS Online organization. You can use that account.) You are not required to be part of an ArcGIS Online organization to use these services. In the search box on the top right, type "digitalglobe firstlook". Choose one of the services you're interested in, click the small arrow next to Open, and then click Open in ArcGIS 10.2 for Desktop. 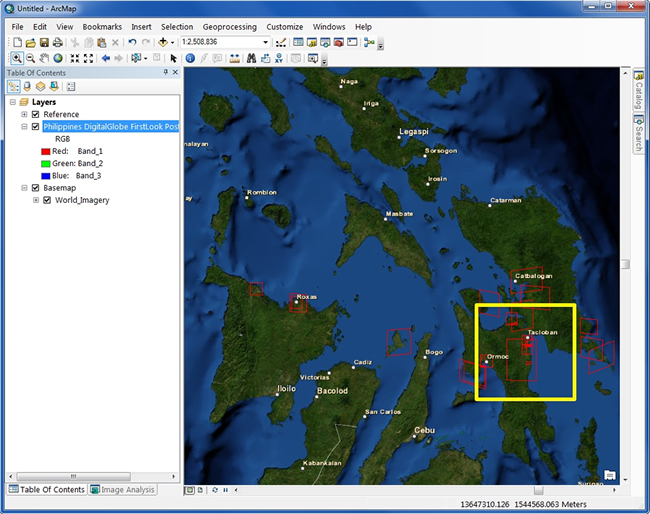 Double-click the file to open it in ArcMap. You may be prompted to sign in to your ArcGIS Online account from your ArcMap session if you're not already signed in. "The service will be available in the table of contents (TOC), but you will see only the wireframes (red outlines of the imagery) because the imagery is loaded at the full extent. The imagery will be displayed only when zoomed in below 1:800,000. 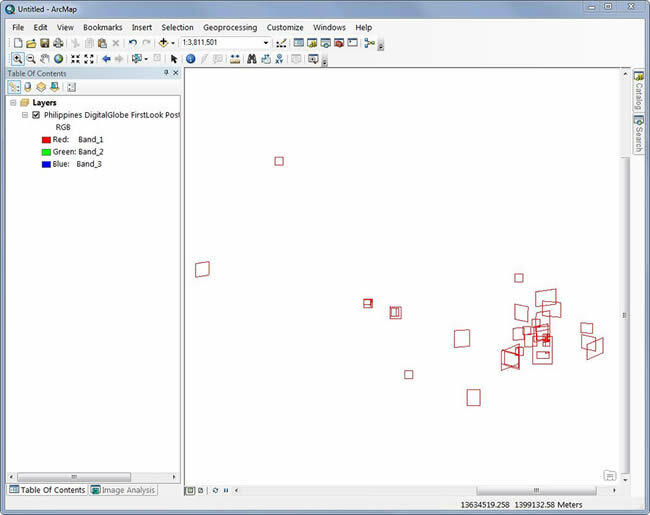 On the Tools toobar, click the Add Data drop-down menu and click Add Basemap. Zoom in to a collection of images to see the imagery. They'll draw around a scale of 1:800,000. 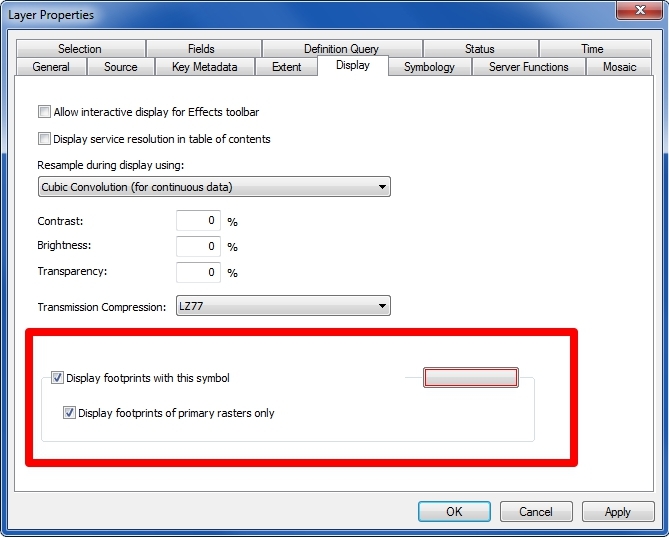 FirstLook image services let you display imagery by sensor. Your map should now contain only images from the WorldView-2 sensor. 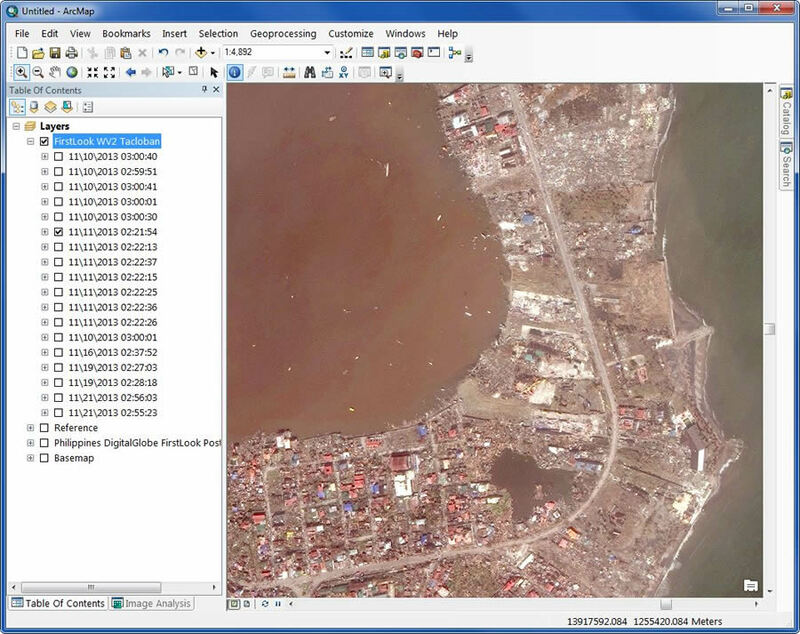 Zoom in to Tacloban City where there's a high concentration of imagery. See the screen shot (below) to find the area of interest. You'll now have a separate group layer with all the individual scenes listed by date, starting with the earliest.